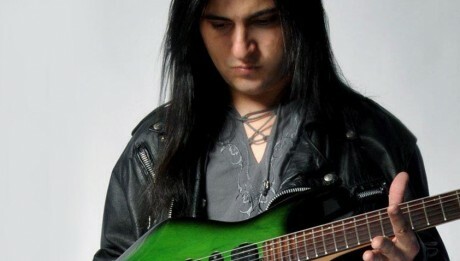 Marcelo Souza, you might have heard his name on YouTube and Facebook, as he is now a famous Brazilian guitarist. He has faced tough times to make his mark in the world, and now he is known to the world because of the talent he has expertise in. At the early age of 13, he started taking the guitar lessons. He got his knowledge in various aspects of music like rock, fusion, jazz, blues, Brazilian music, and the traditional classical music. He studied the classical guitar at the famous school of arts Maestro Fêgo Camargo in Taubaté São Paulo in Brazil. In 2005 he graduated as the bachelor of guitar from the FASC. He did not just stopped there and continued to take private tuitions for the particular music theory and arrangements. He started his career by working as a guitarist and arranger. He uploaded several videos that gave him the chance to work with many famous artists that include the Hevelyn Costa and Christian of the young talent twiggy and the prestigious singer Cecilia Militão. He conducted several workshops and showed his talent in the major events in Brazil. In 2006 he performed in the opening national anthem of Brazil in the event of a national basketball league, this event got the coverage from the global television networks. In 2007, he appeared as the guitarist with the famous lady singers Daniela Mercury and Rita Lee in an album that was a tribute to Paul McCartney. The track suicide in which he made the guitar notes got him acknowledged. The event that earned him the credibility and reputation was in 2009 when he was invited to perform as the opener of the workshop guitarist in Faíska in Taubaté, and the show gained a record-breaking attendance in the region of Vale do Paraíba. Marcelo released his instrumental work with the name of Circles of Fire in 2011. The critics wrote many praising articles for his work that were published in the magazine called Guitar Player. When the CD was released with Edu Ardanuy, it got appreciation from the audience in the form of their thoughtful comments. In 2012, he made his mark on the social media network when he played at the Fire custom shop stands with many great musicians at the expo music. In 2013, he got the chance to become a part of 2 major international events. Marcelo personally interviewed Vinnie Moore, the legendary guitarist. Nowadays he teaches in his Musical Institute, where with the help of his instrumental work he is enhancing the expertise, musical and technical knowledge of many. His passion and dedication have made him reach this level of success that most only dream of. You must check out his videos to know more about him and his talent. He has become an inspiration for many youngsters who want to pursue the same career.